This is the common vegetable in every Indian kitchen, loved by some and hated by many and but they have many good nutritional benefits also. This is purely made in a Punjabi style. This is dry curry veggie and it is an all time favorite dish at our home, we usually prepare once in a week. 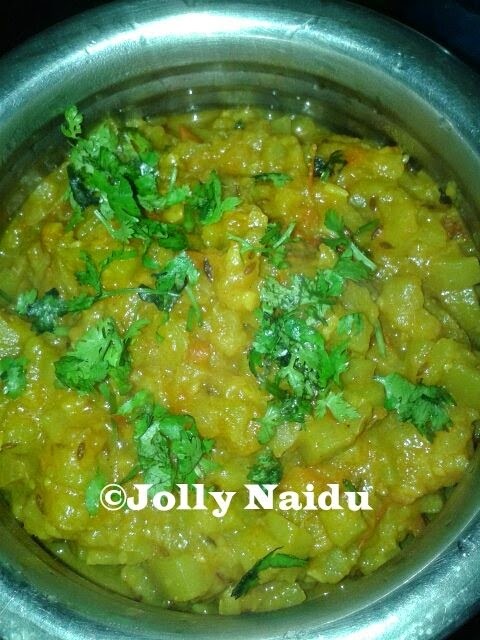 This is one of most healthy vegetable and tasty Indian dish made with bottle-gourd and other Indian spices. This is also called Lauki ki sabzi or Ghiya also. This is very jhatpat recipe to prepare. It's good for health and digestive also. 1. First peel and finely chopped the bottle gourd, onions. Wash it properly. 2. Heat oil in a cooker, add cumin seeds and allow them to crackle. 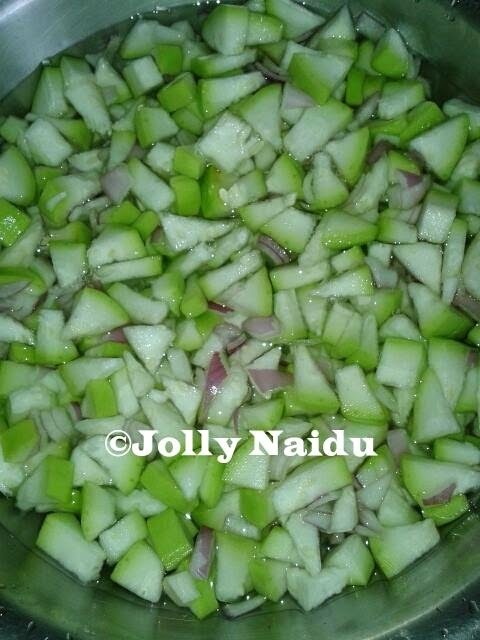 Now add the bottle gourd and onions in a cooker and mix it well in a low flame. 3. Add chopped tomatoes and all Indian spices like turmeric powder, coriander powder, salt to taste and red chilli powder. Mix it well till all the masala mixed with each other. 4. Cover the lid of the cooker and give full 1 whistle in a high flame and then reduce the flame for 10 minutes. Turn off the flame and open the cooker, if water is remaining in veggie, reduce it and give 2 boils in a high flame. 5. 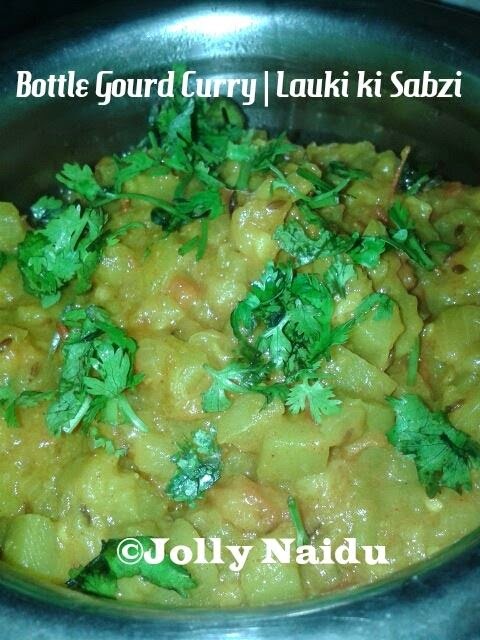 Your Lauki ki Sabzi / Bottle Gourd Curry is ready to eat. This is best going with chapati and masala lachha paratha also.